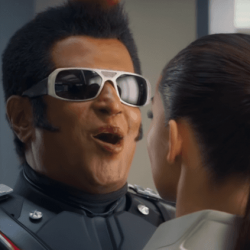 Third song Pullinangal from 2point0 is here! 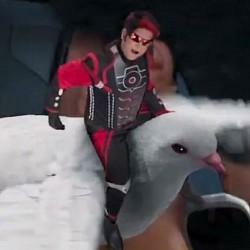 Needless to say, the majority of 2.0's HUGE budget was spent on the VFX department. 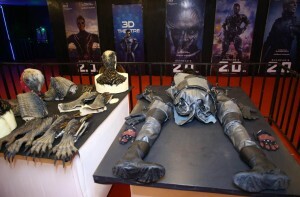 But, we can say without a doubt that this is one of the finest VFX outputs India has ever seen. In a sci-fi film of international standards with a message that is universal, the VFX plays the biggest role and the execution seems to be brilliant. 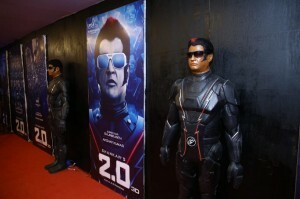 The choice to go ahead with 3D and SRL 4D sound have worked wonders for the scale of the film and the intricacies behind the making deserve applause. 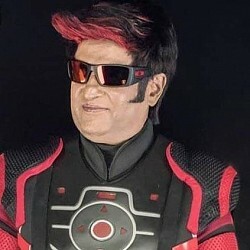 The film, however, falls into the trap of a screenplay that has been tried and tested multiple times and that happens to be the biggest drawback of 2.0. If the presentation of the story was done in a tighter manner, it could have worked better for a certain section of the audience. 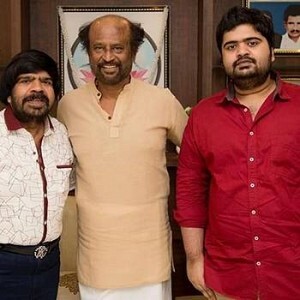 Following the pattern of what he has already done in films like Anniyan and Shivaji could prove to be redundant to a few and lessen the engagement factor. The revenge aspect shines brightly yet again. 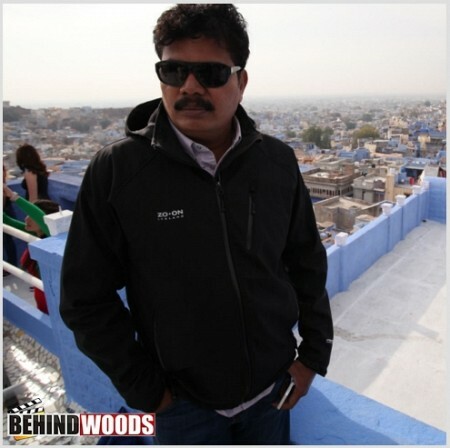 We have Shankar's typical touches of comedy and romance. But this time, they seem to be minimalized a lot. The film slides into the story very early thereby not allowing any deviations. 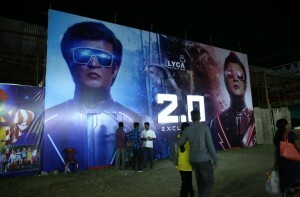 Amy Jackson as a robot is quite impressive. She doesn't have to do much, and her casting falls right in place. There are many actors who play their parts well, even though the lip- sync is not on point due to the fact that this is a bilingual film. 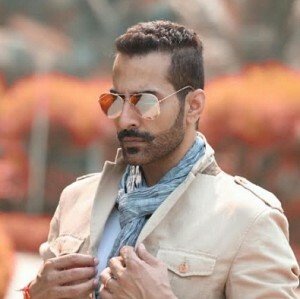 This includes Sudhanshu Pandey and Adil Hussain, who again have very minimal space in the screenplay. 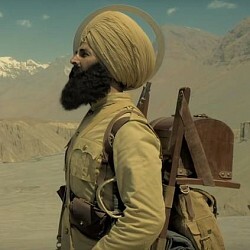 AR Rahman's work in this film could almost go unnoticed as the sound effects are mostly overpowering. But the scenes in which he gets the space, he aces his work. Resul Pookutty must be highly appreciated for delivering a sound of such standards. The SRL 4D sound is a big boon to 2.0. 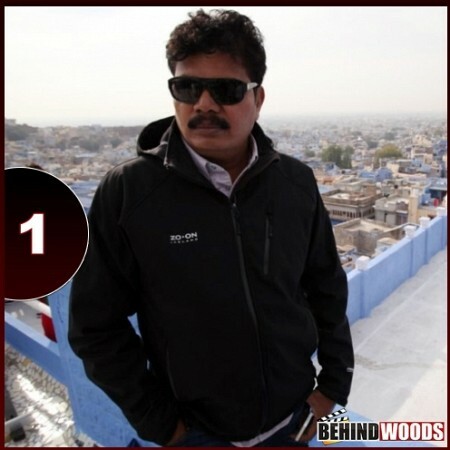 Nirav Shah as the cinematographer also deserves praise. 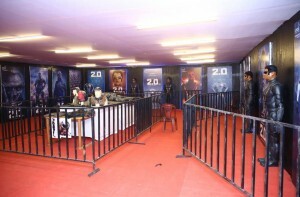 Being a 3D film, it is quite a tough task to shoot it. But his work seems effortless as the cinematography is very appealing. The colors and lighting perfectly suit the film. Anthony's cuts are neat and pose no threat to the film. 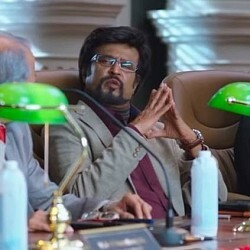 On the whole, without giving up on Superstar's swag, Akshay's performance and his love for spectacularly grand scenes, Shankar presents us with a product that cannot be sidelined. 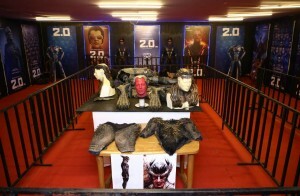 With contemporary touches and technological infusions, 2.0 is a brand that could stand tough against the biggest of Hollywood franchises. 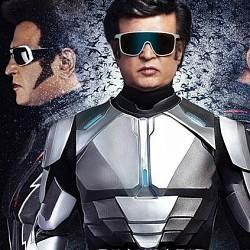 Verdict: Shankar fuses technology, fiction and showmanship brilliantly to reload Rajinikanth's superstar swag in this must watch grand sequel. 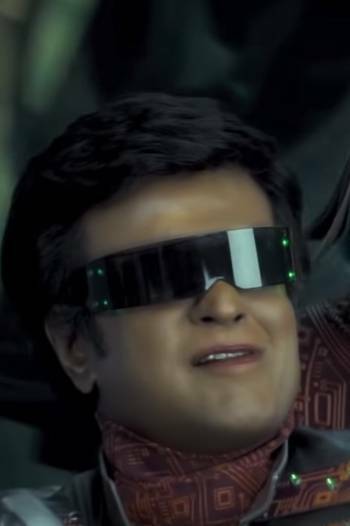 In Enthiran, we saw the Robot romancing a human. But how interesting is the concept of a romance between two robots? Bringing this to the screen is one thing, but penning and composing a song for this is super intriguing. 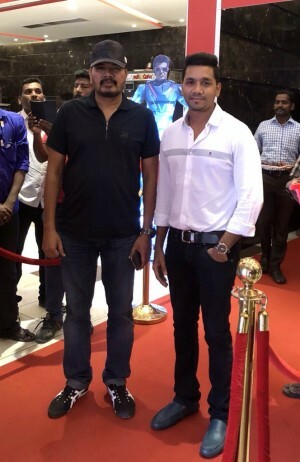 Madan Karky and AR Rahman team up to present a product which is high on quality. 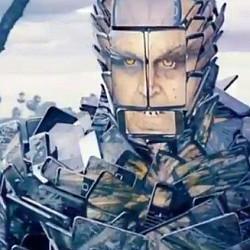 Of course, the techno aspect is very high to give the robotic effect and it works like a charm for a track like this. There's a certain texture in Sid Sriram's voice, which is already quite appealing. 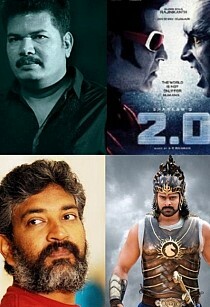 Add a dose AR Rahman's expertise in processing voices and voila! it fits this song like there can be nothing better. Saasha Tirupati's rendition is also praise-worthy. She is gifted with a mellifluous voice that could be very charming. A little tinkering to make it sound mechanical, and we have another amazing addition to this track. 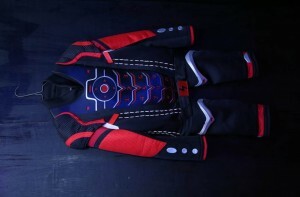 The song has been programmed in such a way that it sounds romantic, robotic, and pumps you up. If heard using bass boosted headphones, the experience is one of a kind. The experimentation in using various tones in this track is very impressive. Madan Karky has once again proved his prowess in writing contemporary and quirky lyrics. Do we have a surprise character in this film? Raajali seems to talk about it. 3.0 is the name! Once again, Madan Karky sets the trend of writing rhymes that are exciting to hear. There's a child-like energy in this track and that is set up by Madan Karky's words. The rest is left to ARR for exploration. Raajali is a very powerful track in which we can distinctly hear the percussions establishing a base for the rest of the song to ride on. Again, the bass guitar's importance is very high, and it complements all the tones used in this track to intensify it. 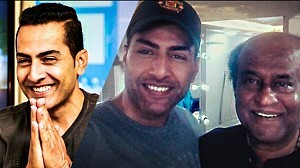 The gang of vocalists includes Arjun Chandy, Sid Sriram, and Blaaze. This is completely a massy track that is based out of rap. 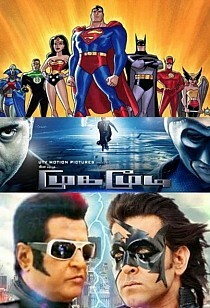 With the grandeur of the visuals, this one is surely going to shake the screen. Pullinangaal sounds more like a poem adapted into a song. And here, we remember the immensely talented late Na Muthukumar. Without his words, Pullinangaal wouldn't be as good. There's a very intimate conversation that happens between the human and the birds and it is brought to life with his words. Getting into the musicality, AR Rahman sets up a serene world with this song. The tranquility is very endearing. Adding to that is Suzanne D'Mello's voice that forms the backing vocals and comes off as the guiding force of the song. Bamba Bakya's voice sounds like an earthy version of singer Mano and his rendition is almost flawless. Ameen joins mid-song for a cute verse and he aces it. The string section flows through this stream and holds the track right up when coupled with the female harmony. On the whole, Pullinangaal could walk straight through to the heart of the listener. 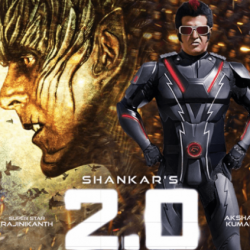 2.0 (aka) 2 Point 0 is a Tamil movie with production by Lyca Productions, direction by Shankar, cinematography by Nirav Shah, editing by Anthony. 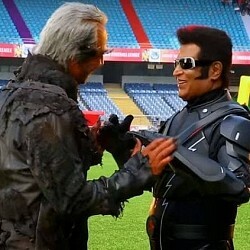 The cast of 2.0 (aka) 2 Point 0 includes Adil Hussain, Akshay Kumar, Amy Jackson, Kalabhavan Shajon, Rajinikanth, Sudhanshu Pandey..